I've never really known what a "Gothic" novel is. I've always assumed that I wouldn't want to read one – that it would be dark and shadowy and maybe supernatural, and that my aversion to vampire books and thrillers would combine to make me allergic to Gothic novels too. But I just finished The Vanishing Act of Esme Lennox, by Maggie O'Farrell, and to my surprise, this book is often called "a Gothic novel". So that makes me rethink my whole attitude about them. The Vanishing Act of Esme Lennox takes place in Scotland. Iris, a single twenty-something with some men issues (she's basically in love with her married stepbrother), learns that she has an aunt that she never knew about. That aunt, Esme Lennox, has been in a mental institution for 60 years. The hospital is about to close, and Iris, who is listed as the closest relative, is summoned to retrieve her. Iris' father (Esme's nephew) is dead, and her grandmother Kitty, Esme's sister, is also institutionalized with Alzheimer's. The book is told from three points of view: Iris', Esme's and Kitty's. Together, they tell the story of how Esme – a spirited and unconventional girl – ended up in the mental institution, as well as the layers of family secrets that kept Iris from ever finding out that she even existed. It's a sad book, to be sure, about lies and betrayal and the grave injustices done to Esme as a child by her unfeeling family. There's a coldness – a lovelessness – that infuses the whole story, and I can't recall a single warm, functional relationship in the whole book. Is that what Gothic means? Despite its bleakness, The Vanishing Act of Esme Lennox was a good read. I liked the rotating voices, and the way that O'Farrell teased the story out slowly, hinting at pivotal moments but not revealing them fully until chapters later. There were some plot points at the end that gave me pause (too much coincidence and perfect timing), but the final few pages were intensely satisfying. I would recommend this book, especially if you discovered that you enjoy Gothic novels long before I did! I actually wrote about The Vanishing Act of Esme Lennox back in 2007. I just read the post, and the review I linked to also had the same issues I had with the ending. Glad to know it's not just my usual pickiness about endings! I picked this book up on audio from the library, but the discs were a bit scratched up, so I ended up mostly reading this in hardcover (the book has been on my shelf since 2007 too). Is there anything more annoying than a skipping audiobook CD? What I did hear of the audiobook was pretty good. I liked the narrator's different accents for the different characters. There are some passages in the book (Kitty's sections) that are told in stream-of-consciousness, and the audio is a bit hard to follow in those sections because O'Farrell jumps around so much. At least on paper, you can see where the paragraph breaks are. Are you a Gothic novel fan? What have you read in this genre that you recommend? Maggie O’ Farrell’s novel The Vanishing Act of Esme Lennox is the tale of family secrets, longing and deceit told through the stories of two women. While the novel uses the contrasting tales of these two characters to illustrate the shift in society’s treatment of women, O’ Farrell also shows that human nature never changes. The protagonist of the tale is Iris Lockhart, the epitome of the single, self-contained, independent woman. As the owner of a vintage clothes shop in Edinburgh, Iris has her entire life under control with the exception of a wild, sexually potent affair with Luke, a married man she met under casual circumstances a few months previously. The affair is becoming complicated, and Luke is beginning to hint that he wants to leave his wife and move in with Iris. One day, Iris receives a phone call from Cauldstone, an asylum that is about to permanently close. According to the asylum’s administrators, one of the residents, an elderly woman named Esme Lennox, is Iris’s great-aunt. Iris at first denies that such a person can exist—she was raised to believe that her grandmother Kitty was an only child. But after the shock wears off, Iris becomes curious, and so she travels to the asylum to visit this long-lost relative who’s been locked up for over sixty years. 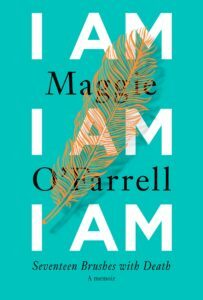 O’Farrell weaves the two stories of Esme and Iris back and forth adding occasional memories from Kitty, Esme’s older sister who now suffers from Alzheimer’s. Kitty holds the key to the past—the truth concerning exactly why Esme was locked up in a mental asylum. And as O’Farrell drops slivers of memories on the pages, we begin to piece the puzzle together. One of the tragic elements to the story is the treatment of women in the early twentieth century. In her youth, Esme is portrayed as an innocent, vulnerable girl who was not allowed to exist beyond her repressive family’s prescribed dictates. Iris, on the other hand, is free to enjoy a great degree of sexual freedom (even if it does complicate matters). But Iris, an extremely sympathetic character, is subject to certain taboos, and she harbors secrets of her own. The Vanishing of Esme Lennox just missed being great. Unfortunately the ending–the secret that holds the book together–was a little too clichéd, predictable, and over-the-top. In an otherwise subtle, elegant novel, the conclusion was jarring. That said, this was an enjoyable read, and the author most certainly and cleverly makes her point about the shifting roles of women in society. The Canadian Bookworm "could barely put this book down." Has anyone out there read this yet?